So, I had a weird experience this morning: I was at a professional development talk, attended by dozens of people from the museum field. I recognized many faces, and knew many people well, but hadn't seen them in awhile. Yet, when they came up to me, I found I had to work very hard to engage with them, to find something to say other than, "How are you doing? I'm okay; things have been busy." Not exactly inspiring conversation. I've often said that consulting is a lonely job, but I was experiencing more than simple isolation. Instead, I realized that what I was lacking in common with these colleagues was a frame of reference, a shared subcontext born out of consistent interaction. As a consultant, I move in and out of groups all the time. My interaction with a particular non-profit may last several years, or only for the duration of a short-term project. While I'm working with that group, I'm part of their community. We have a shared context built on give-and-take interaction around some common goals. But that interaction may be limited; they may not want, need, or invite me into the circle of people who make key and/or long-term decisions. Thus I'm a temporary resident in the community, and that's okay. And through the clarity of a lonely lunch, I also realized I'd hit upon a malaise affecting many of the non-profit clients I work with: lack of community. But wait, you say, we have members. We have visitors and clients. We have volunteers and a wonderful board. We come in contact with lots of people. Aren't they our community? And the answer is, yes, they can be, but are they really? In biological terms, a community is a group of living organisms sharing a populated environment. In a human context, we add the concept of a shared system of beliefs, a shared interest in common welfare, and/or a shared identity, preferences, and needs. Groups on Facebook, for example, are often termed "communities," but as my wise husband once said, "Sure, you've got 1,000 Facebook friends. How many of them will lend you money or help you move?" A community is your peeps. Your friends. Your people. The ones who got your back, who will lend you money or help you move. It's more than geography; it's more than numbers; it's about love, the kind of binding affection for something or someone that ties people together and provides a foundation of experience and values that in turn become the platform on which new experiences and interactions are played out. Communities are maintained through constant interaction and sharing, scanning for dissonance, and reacting to it. Because I am active in many roles in my life - mom, non-profit consultant, novelist, etc. - it's a challenge to maintain communities in all of them. And Facebook and the like aren't enough: many of the same people I found it difficult to talk to I keep tabs on via social media all the time. No, it's about real conversation, and doing things together. So what's the lesson for the non-profit world? I'd apply my husband's litmus test: how many of your donors, clients, volunteers, board members, and other "communities" would lend you money or help you move? That's really what you want them to do, right? Donate and take time out of their own lives to do something at your organization's request? 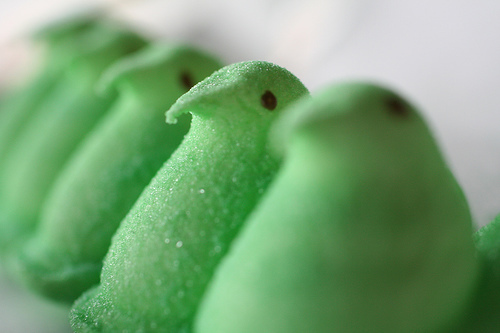 Who's your peeps? How well do you really know them? Do you know if they love you? Hint: loving you involves more than pressing "Like" on Facebook. Yeah, I thought so. I have to work on maintaining my communities, too. I need to find more opportunities for face time, patient listening, joint experiences. I see my fellow novelists in my writing group on a weekly basis, so I know what's going on in their lives. It's natural to become absorbed in whatever and whomever is right in front of you. But neglecting the outliers means the "inner circle" grows smaller and tighter. Pretty soon you start to wonder who those people over there are, anyway. And then you find yourself wondering why they don't give the way they used to, or volunteer in the ways you want them to, or come to your events, or renew their memberships, or bring their friends. Peeps got each other's back. Make a point of finding out in a sincere way what your communities want and need. Interact with caring. Show them the love. It's work, and the interacting will probably redirect your priorities, challenge your assumptions, and change your organization in a profound way. But it's work that you have to do, or you may find yourself eating your lunch alone. So, peeps, tell me: what are you up to these days, anyway?